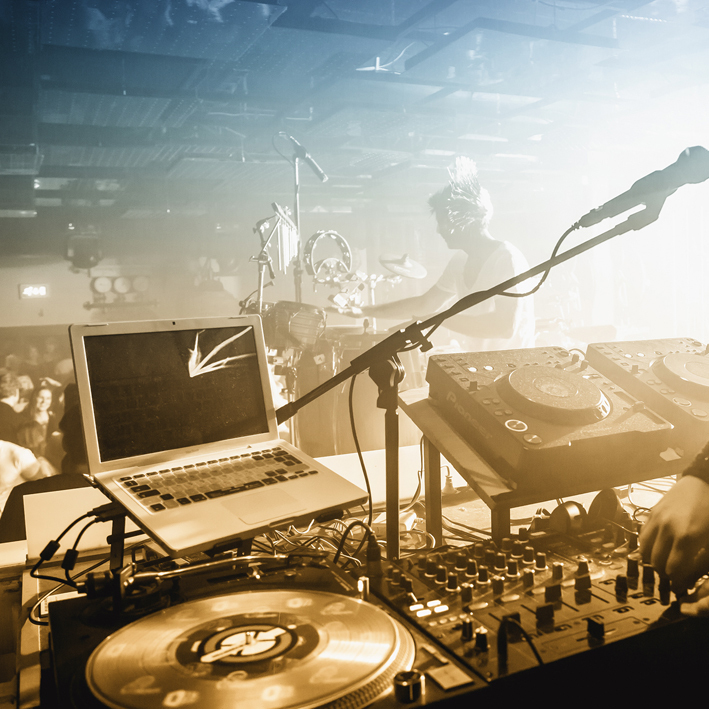 20 years of experience in this sector and current performer of Germanys biggest radio stations party series „SWR3 goes clubbing“ tells it´s own tale. edm, reggeaton, minimal, deep, tec, vocal, latin, electro, ambient, tribal, ect. No advance preparation time for specific styles or music required. Overall experience with music and activities as producer and composer and artful improvising achievements readily create ad hoc Grooves and Sounds with DJ mixes as if part of the original production. 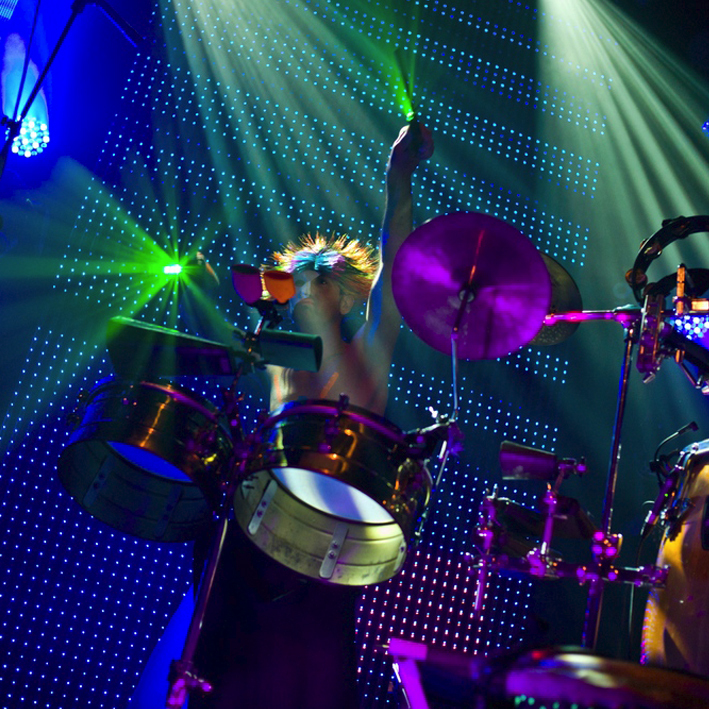 The multi-percussion concept, like playing skin- and small percussion simultaneously and the attempt to come to terms with new and progressive electronic sounds and styles dominate the musical work. Electronic percussion sounds as well as samples of differing sound- and life-spheres are incorporated as timeclock- or free-control-loops, respectively, or may be punctually integrated into acoustic grooves, creating a modern contemporary sound. Exceptional Iive remixes are resulting in cooperation with DJs. Complete Submixsystem can be supplied. easily latching to audio systems/DJs/mixers. 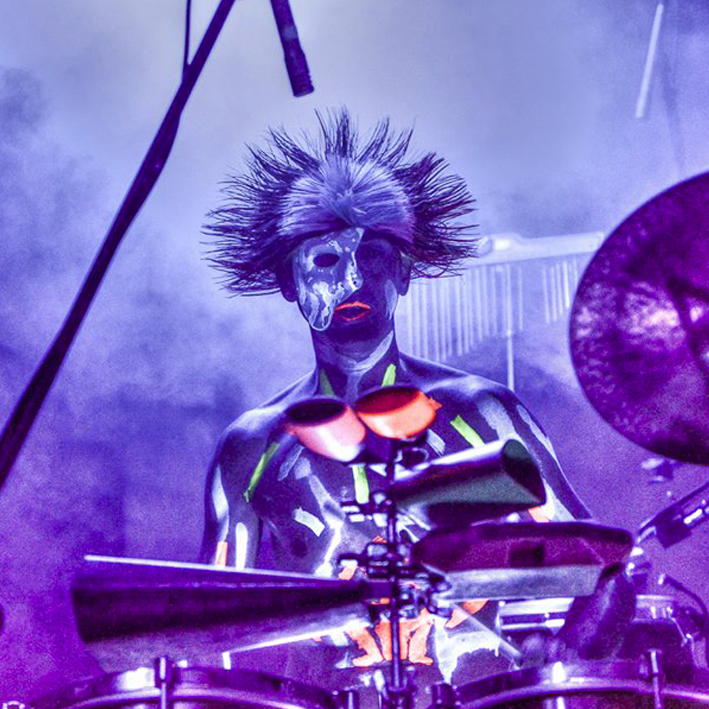 No, that´s no radiography of an alien, but a close up of my UV-Look before the show. Beat support at Gibson Club Frankfurt to big house beats. 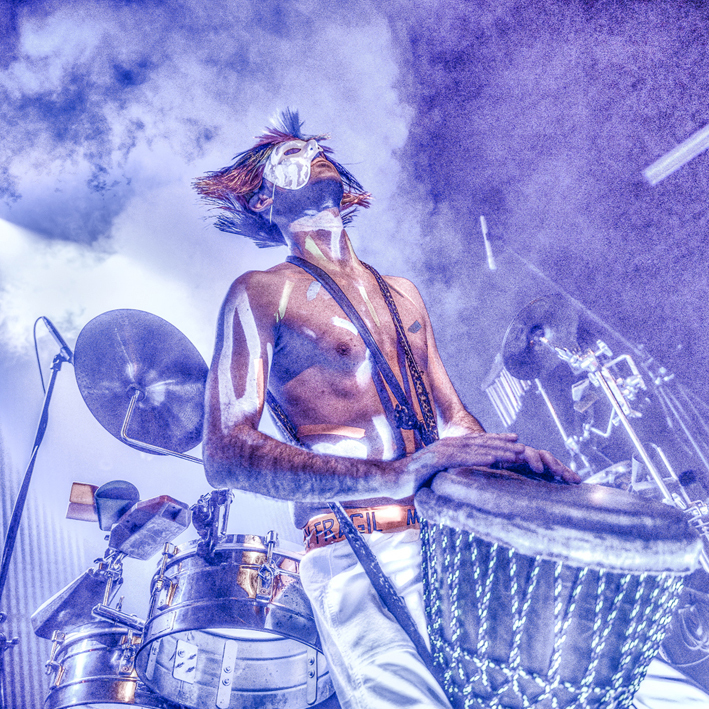 The master of ceremonies dancing to his drums. 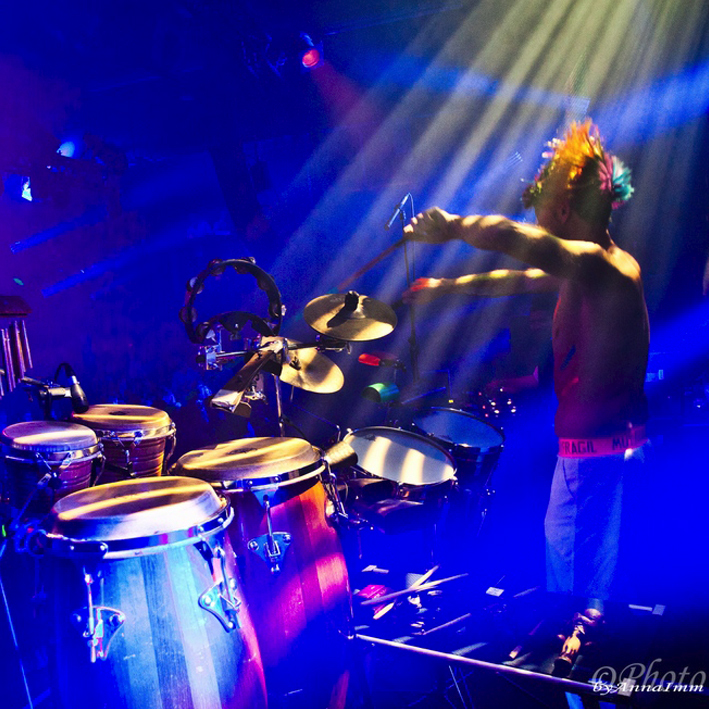 Everything in the Flow - when DJ and percussionist melt into one sound, the party´s gonna be great. 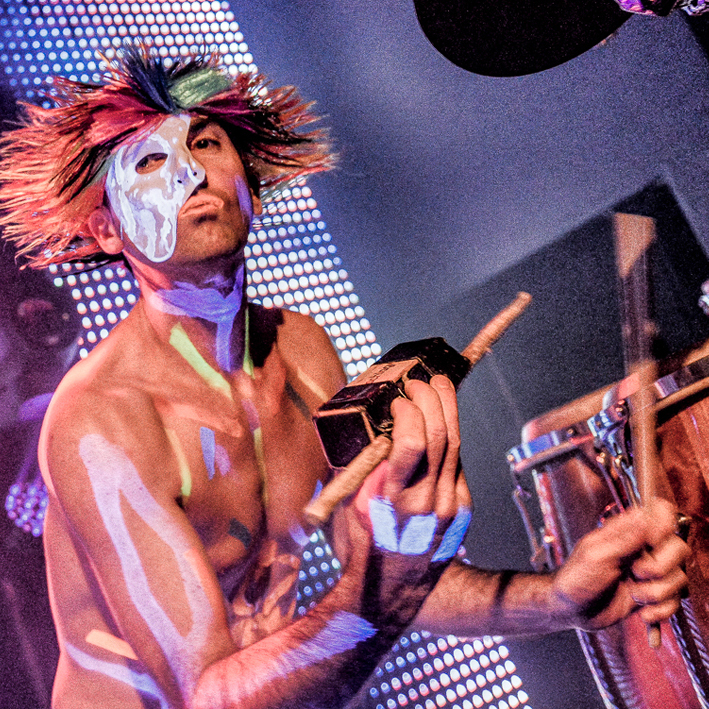 Djembe solo performance - No night without rhythm. 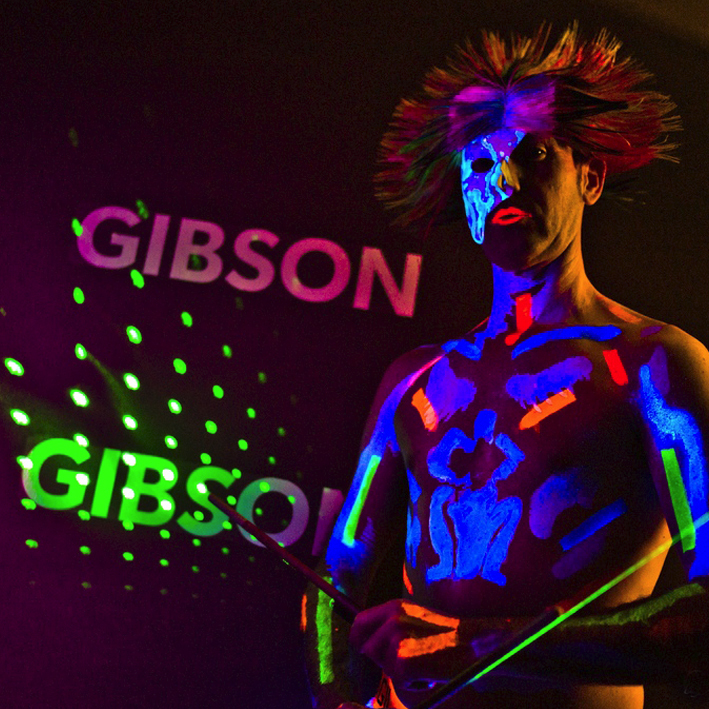 Before the Gibson Frankfurt show with my light sabers. 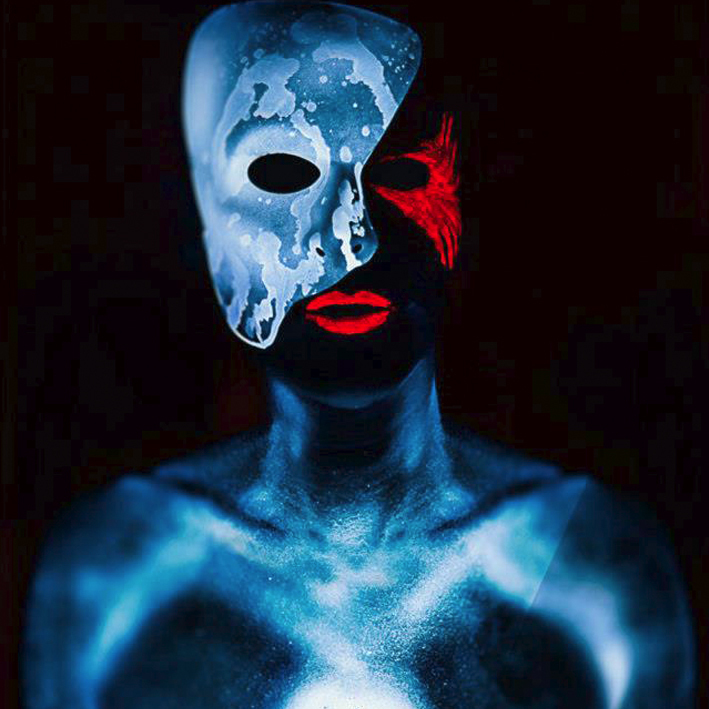 When the UV light stops it´s gonna be colourful. Laser and dance performance - another optical highlight of the show. 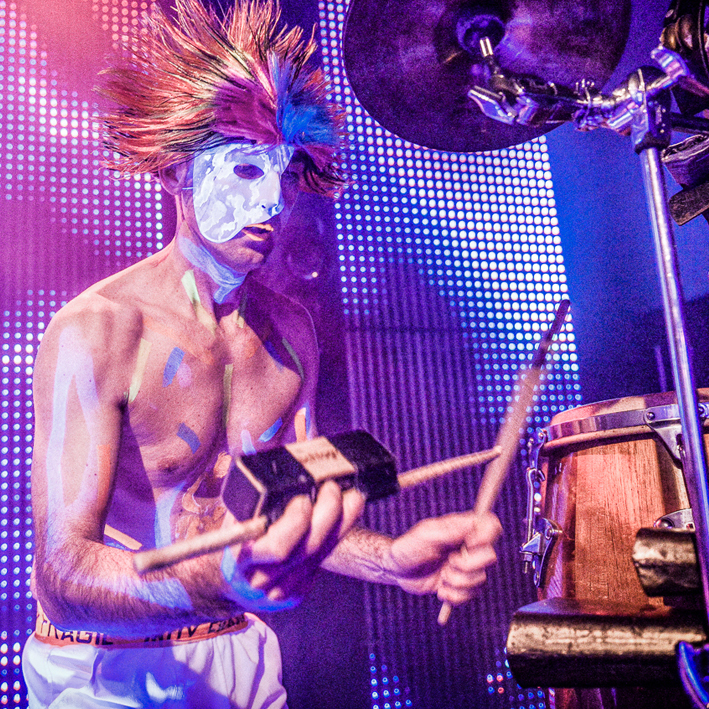 Concentrated and controlled multipercussion grooves simply make the beats more lively and bigger.